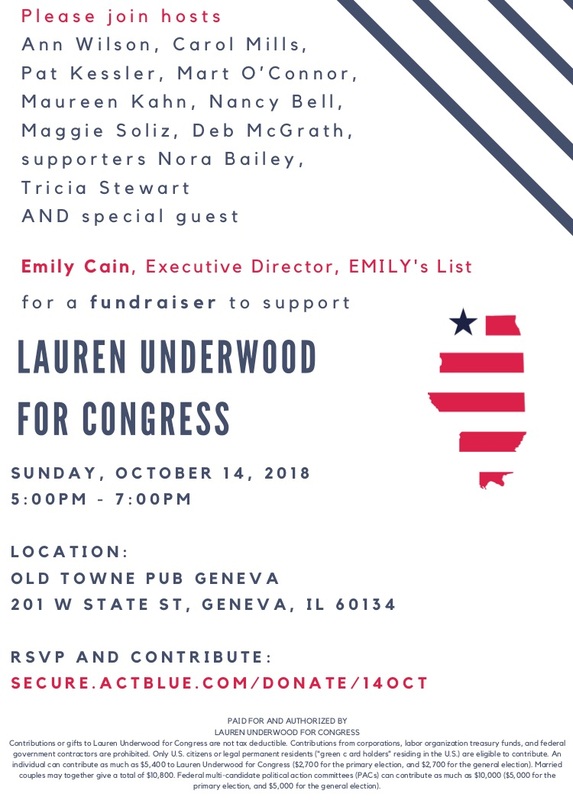 Come on over to meet and greet Lauren Underwood, Democratic congressional candidate for Illinois' 14th District. Enjoy music, appetizers, and the company of kindred spirits while doing your part to flip the 14th. We will be joined by Emily Cain, Executive Director, EMILY's List! Vocalist and guitarist Dennis O’Brien, one of Chicagoland’s most popular musicians, and his equally accomplished friend John Paruolo, will be playing some of their (and our) favorite classic rock tunes throughout the fundraiser.